Take advantage of a once in a lifetime opportunity to own this 3 bedroom, 3 bath, 3,027 square foot, 3 car garage, country style pool home perfectly situated on one of the most amazing 5 acre lots you will ever see. Custom built in 2003 by renowned builder Bob Larkin, this home offers pretty much every feature you could possibly want or need. 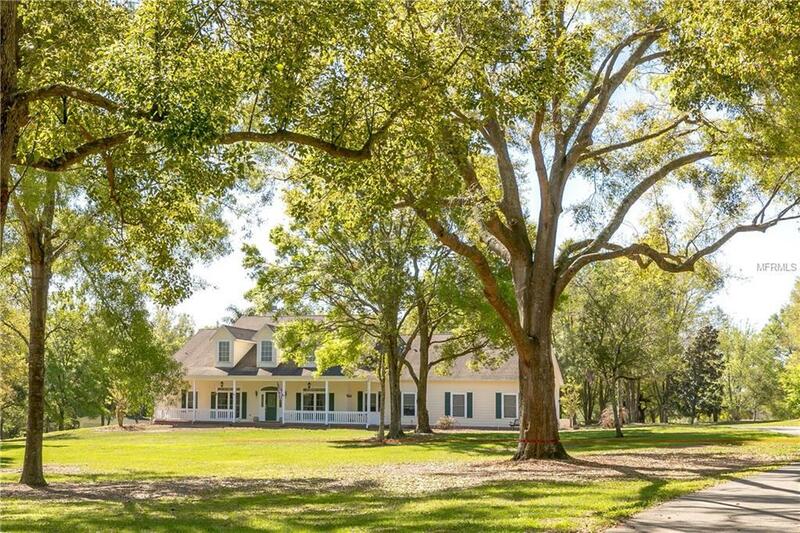 Sit and watch the horses roam from the convenience of your 51' front porch. 16' x 32' solar heated pool is perfect for those hot summer days. The 12' x 51' screened lanai allows you to extend the pool day and enjoy a sensational outdoor kitchen that includes a covered canopy, 42" gas grill, green egg smoker, refrigerator, and sink. The well thought out floor plan offers a plethora of storage space you simply don't see in Florida homes. Executive office could easily be converted into a 4th bedroom. Each bedroom offers its very own private bath. Spacious chef's kitchen offers 42" cabinets, stainless steel appliances that include a double oven, vented exhausted, electric stovetop, breakfast bar, and 8' center island. Owner just recently spent $15,000 updating the master bathroom with granite countertops, mosaic backsplash, tile flooring, and all new shower tile. Spacious walk-in shower, make-up vanity, and 133 sq/ft of closet space offer additional comforts in your master suite. No need to worry about hurricanes as this home is equipped with a whole house gas generator. Other recent updates include a new 5 ton a/c system w/ transferable warranty and a private gate. Additional Lease Restrictions Buyer is Responsible For Verifying Lease Restrictions With The County. Pet Restrictions Buyer is Responsible For Verifying Pet Restrictions With Pasco County.